Keep your sink draining smoothly with this complete Duostrainer. The straining basket features an easy-to-use open/close stopper, while the body snugly fits into standard kitchen basins. Available in an array of KOHLER finishes that match any decor. 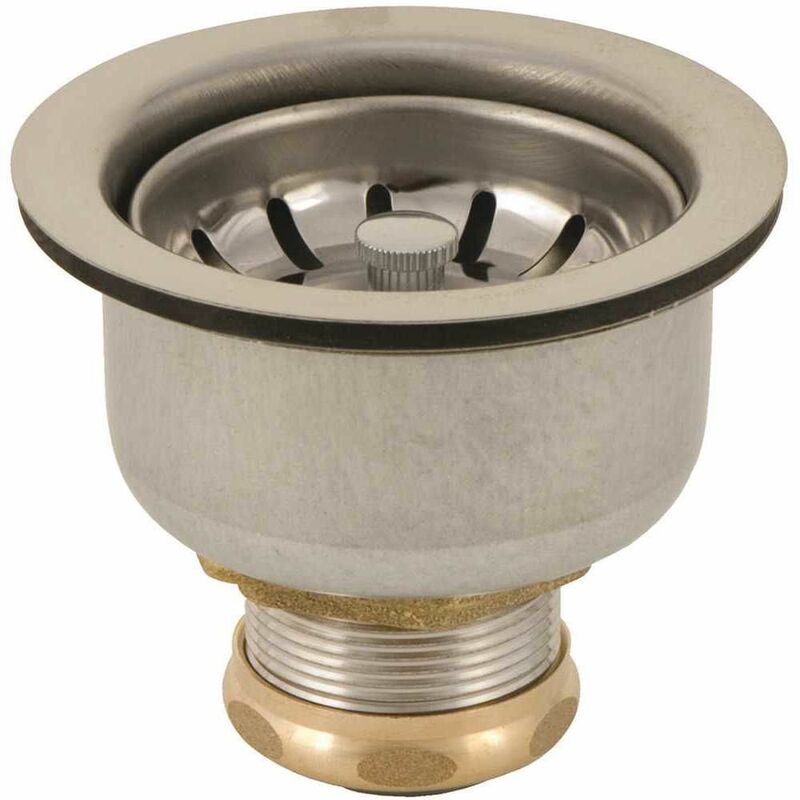 This removable, perforated strainer keeps large debris out of the drain while allowing water to easily pass through. It is constructed of durable solid brass for long-lasting performance, and the versatile styling coordinates with any service sink. Universal Fit-All design and sturdy mesh make this basket strainer durable and catches food particles while allowing water to flow freely through your drain. Alternatively, engage the stopper device to fill the sink with water and then release to drain water without putting debris down your drain.